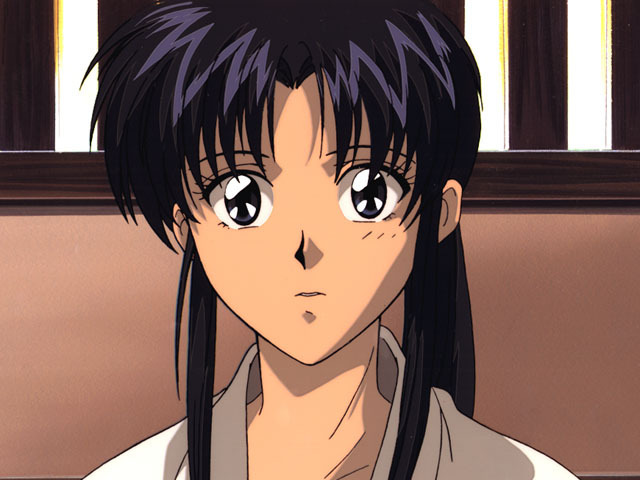 This page is all about Rurouni Kenshin. The show is about a time period in after the Revolution when a legendary manslayer called Hitokiri Battosai has vanished. Now it is the Meiji era and a passing by civillion was caught by a girl named Kaoru Kamiya. She was going to have him arrested by the police for violating the sword banning act. Until Kaoru realized the sword was a sakabato. The civilion reveals that he is just a rurouni passing by. They were interrupted by a commotion with a crimminal and the police. The crimminal, after attacking the police, claims to be Hitokiri Battosai, master of the Kamiya Kasshin style. This ruins Kaoru's sword teaching bussieness, for you see, that is her family's style that they have been teaching for years. 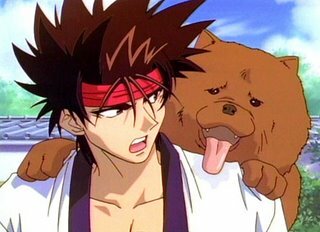 Kaoru invites the rurouni to stay with her while he passes through town. 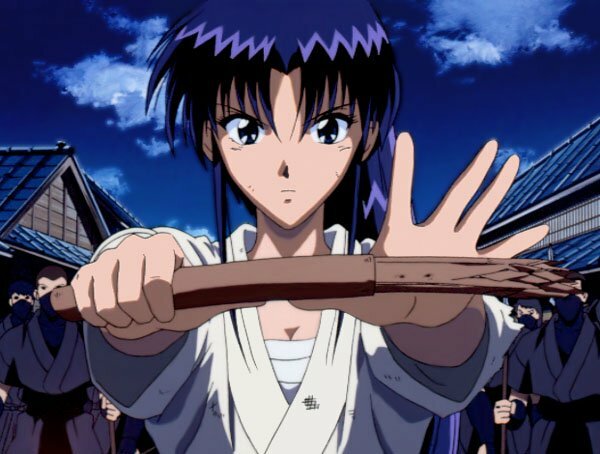 The next day the rurouni left for unknown reasons and Kaoru is attacked by a former student of her fathers and his gang. Later on one of the gang members opens the door and the gang leader asks "what is it?". And the member says "he's...strong." and drops to the floor, revealing the rurouni behind him. The rurouni walks in and states that no matter what sword fighting is a way to kill, but prefers Kaoru's swords that protect philosophy, rather than the truth. 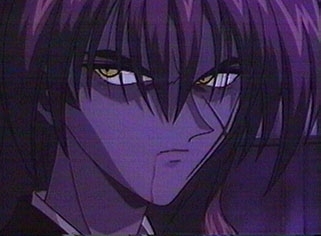 The gang leader orders his men to kill the rurouni, but the attempt was thwarted and the gang leader and his men lost. 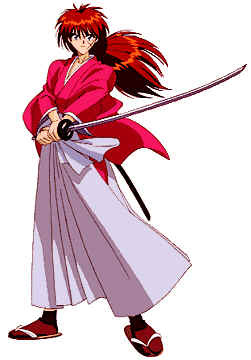 The rurouni reveals that the Hitokiri Battosai was not a master of the Kamiya Kasshin style. 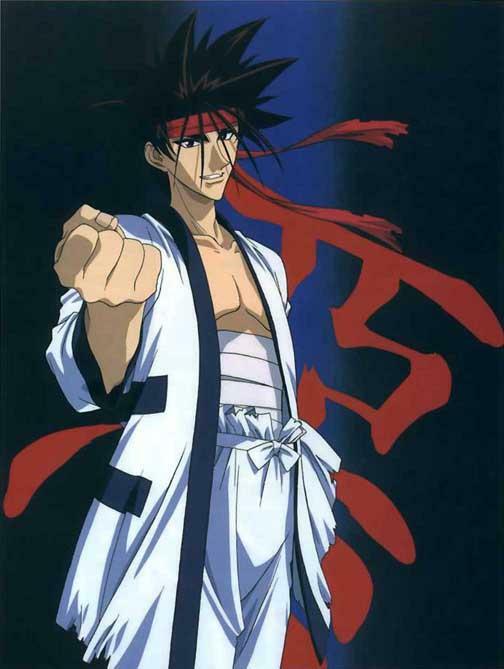 But a master of HIS style the Hiten Mitsurugi style. The rurouni was revealed to be the Hitokiri Battosai. He begins to leave, but Kaoru wants him to stay. She then decides that if he leaves she should at least know his name. The rurouni says his name is Kenshin Himura and shuts the door. But he did not leave. What does the future hold for the two. 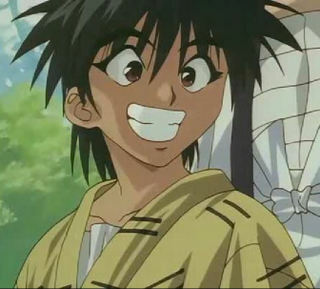 Below are a list of characters from Rurouni Kenshin. 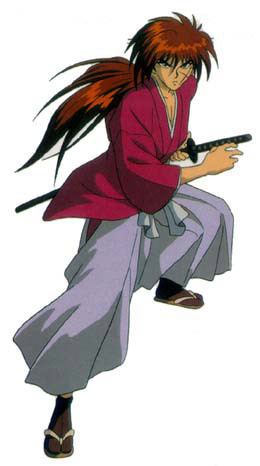 Kenshin Himura-A rurouni and former Hitokiri Battosai. He is 28 years old and wields a sakabato. He became a rurouni to repent for the deeds he has committed in the past. He is currently staying in the Kamiya dojo, while he takes a break from traveling. He is a master of the Hiten Mitsurugi style. 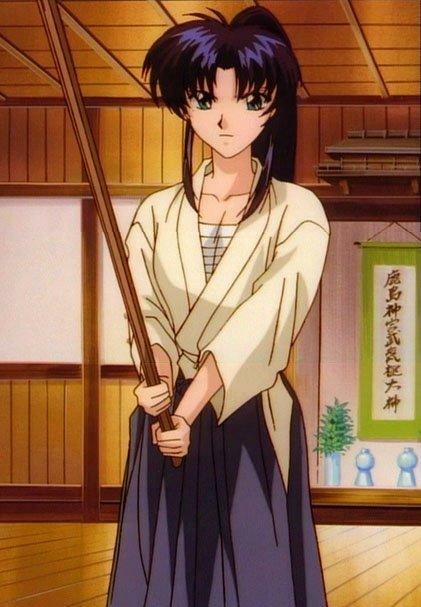 Kaoru Kamiya-A girl who teaches the Kasshin style at the Kamiya dojo. She relies on Kenshin for most of the chores around the dojo(mainly cooking, she sux at cooking.) She has Kenshin stay with her for the time being. She is 17 years old. 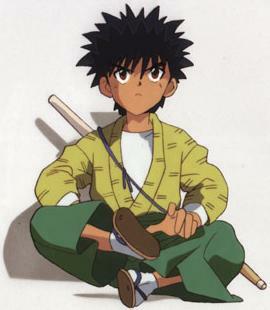 Yahiko Myojin-A boy who lives in the Kamiya dojo. He is learning the Kasshin style from Kaoru. He is 10 years old. He is a stubborn kid, so Kaoru doesn't like teaching him. But hey, he's all she's got. 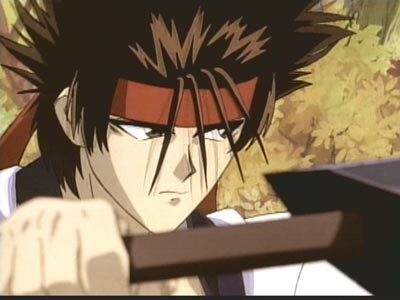 Sanosuke Sagara-A former fight merchant. His alias was Zanza until his Zanbato was broken. 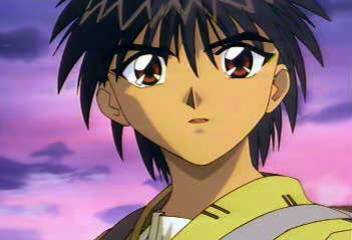 He is a close friend of Kenshin, Yahiko, and Kaoru. He is 19 years old.